Marie-Therese Ward, who lives near Dunleer, has enjoyed massive success over the past fifteen months as a Cosplayer in a fashion art form that she became involved with as a hobby. Ms Ward is known as ‘Empty Cosplay’ in her fashion art form field. She designs and creates costumes out of EVA foam in her spare time and wears them to conventions and gaming festivals. Each costume starts as a black foam which she cuts, moulds and paints by hand to create amazing Cosplay costumes. Marie-Therese is already a national award-winning and talented Cosplayer in her field. Here she was delighted to win Best Craftsmanship in the Cosplay competition with her “Maiev Shadowsong Cosplay” from World of Warcraft, the multiplayer online role-playing game. 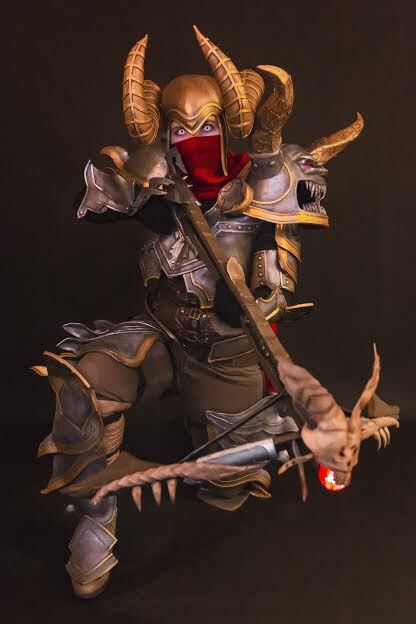 Marie-Therese’s second Cosplay event was based on the Demon Hunter concept art from Diablo 3. It was showcased at the Dublin Comic Con in August 2018 where she won first prize in the adult category. Her success with the Demon Hunter costume continued at the Omnicon in Limerick where she won the Masters Category. After that Marie-Therese placed runner up in the professional category at Con in Dublin. 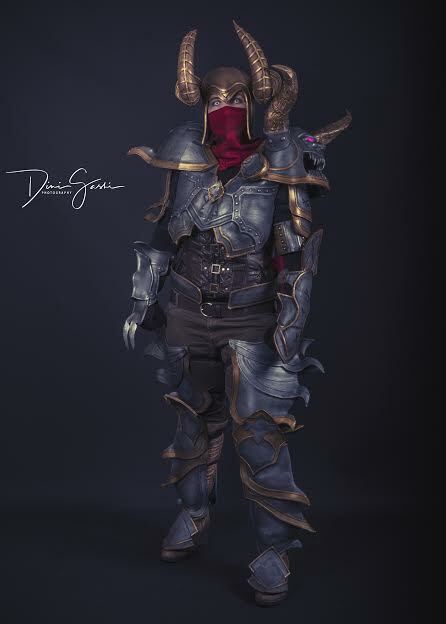 Recently Marie-Therese finished her third Cosplay fashion art piece Kassandra from “Assassins Creed Odyssey.” This new costume won the Masters Category at Shurikon in Dublin and along with the title Marie-Therese also gets to be a Cosplay judge at Shurikon 2020. Meantime Marie-Therese is currently working on Astrids armour from the new movie “How to Train Your Dragon: The Hidden World.” You can find about Marie-Therese’s progress and previous projects on her Facebook page @EmptyCosplay and Instagram @Empty_cosplay. Winning Cosplay competitions has been a fantastic experience for Marie- Therese. She says: “Cosplay for me is an amazing hobby. I love making the costumes, attending conventions and taking part in the competitions; winning is an added bonus to the whole convention experience. “I enjoy getting up on stage, doing a little performance and showing people what I have created. If the judges think my costume is good enough then I’m absolutely delighted but overall I just do it for fun and I welcome any feedback that the judges may have on how to improve for the future. Explaining how her she first got interested in creating Cosplay costume Marie-Therese explains: “I have wanted to Cosplay for years; every time I attended a convention I was inspired and amazed at the costumes people were wearing and I knew I wanted to start creating my own. "At the beginning of 2018, I finally plucked up the courage to contact some Irish Cosplayers online for information on how to get started. Most people would start with a fabric or bought Cosplay but I drove straight into the deep end and began working on an armour costume, using foam mats and shaping them with a heat gun.